Talks between Russia and the U.S. on a proposed missile defence system will begin in September, says the U.S. State Department. The negotiations will also include the Strategic Arms Reduction and Conventional Forces in Europe treaties. Russia has expressed concern over the deployment of the missile defence system in Poland and the Czech Republic, saying it is a threat to its national security. The Chief of Russia's Armed Forces General Staff, Yury Baluevsky, said the deployment of the U.S. anti ballistic missile system in Europe would start a new uncontrolled arms race. The comments were made in an article in the Rossiyskaya Gazeta newspaper on Friday. 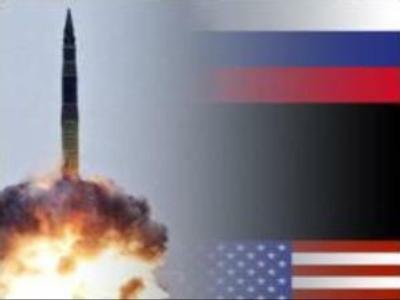 As a part of the extended dialogue with Russia, the U.S. have allegedly agreed to put on the table the strategic arms reduction and Conventional Forces in Europe Treaty. Earlier, Russian First Deputy Prime Minister Sergey Ivanov said that Russia had in fact put a moratorium on the Conventional Forces in Europe Treaty and the moratorium will last until other NATO allies have ratified the agreement. At the end of the month senior U.S. officials plan to travel to Warsaw and Prague to begin formal negotiations over the proposed missile deployment facilities. The U.S. plans to deploy 10 missile interceptors in Poland and a radar base in the Czech Republic against possible missile attacks from what the U.S. considers “rogue states”, such as Iran and North Korea. The European's missile site carries a hefty price tag of nearly $US 4 BLN, leaving some legislators to question the need of such a system. “I am deeply concerned about the administrations' rush to put in place an unproven ballistic missile defence system as well as its impact on our relations with our allies in Europe,” said Robert Wexler, a congressman.